We currently have 1 opening for a working student. A typical day would include riding school/show/client/young horses (depending on riding ability), cleaning barn, medicating, feeding, and helping turn horses out. Some opportunities to teach lessons may be available to the right individual and showing opportunities are available to all. Lessons, housing and meals are provided, along with a monthly stipend. Large private bedroom and bathroom in farm house, or rustic cabin if extra income desired during summer camp session. Lessons, exercise rides, housing, and meals are provided. May be able to make arrangements for boarding one horse, can be discussed. 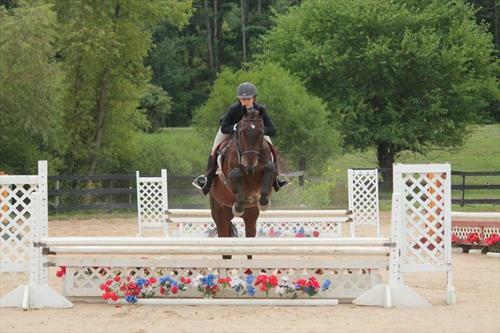 We are a large hunter/jumper stable that offers lessons from beginners through advanced. We have a competitive show team, traveling to A and B shows during the summer session. We also host an IEA, IHSA, and competitive vaulting team. 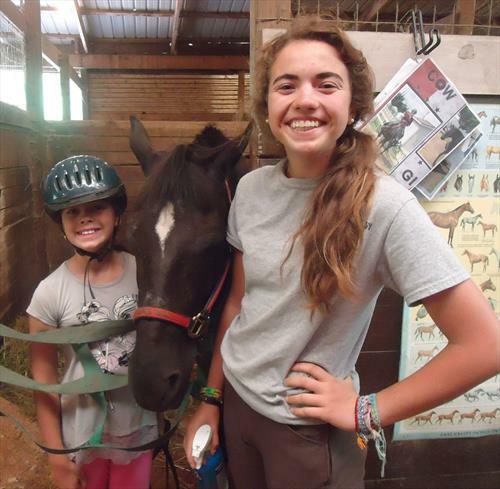 We have a large string of school horses as well as privately owned horses, totaling 50+ in the barn.